A Whole New World: Revolutionize Your Revenue! Sponsored by Council Services Plus, Inc.
No doubt about it, right now there is a buzz among nonprofits about how to better tell their story, how to get people understand them and how to get people to act (volunteer, donate, etc.) We all know it’s important to market our “cause.” But how do you do that when you have no marketing budget and no staff dedicated to marketing? Is that really where our limited resources should be going? Join us as renowned author and Vice President of Marketing for Network for Good, Katya Andresen makes a case for marketing and shows us how simple it and powerful it can be if we understand a few key principles. Katya will inspire you with true stories of life changing marketing ideas for nonprofit organizations stolen, nay, borrowed, from our more “resource rich” corporate partners. Katya’s insight will enable you to craft a compelling message that motivates people to take real action. This panel of funders will engage in a candid discussion of the future of grantmaking. What are the new concepts and initiatives nonprofits should be aware of? How much attention should we really be paying to outcome measurements? Why are some foundations changing their models of giving? Each funder will discuss their own giving strategies and how you can better prepare your organization to work with funders of the future. Join us for one final chance to network. Share your success stories and your frustrations…or just get to know each other and our presenters. If there’s one thing we’ve learned from all the conferences we’ve given (and attended) this can be one of the most valuable parts of the day. If all else fails, food and drink will be on hand! Tips, ideas and inspiration you can use even if you have no budget for marketing. Learn the do's and don'ts of sending out a press release and the tricks of the trade from a national leader in nonprofit marketing and public relations. Leave the workshop inspired and with real tools you can put into place immediately. This workshop will give participants advice on how to effectively use new media including the internet, enewsletters, blogs, listservs and more. Learn the do’s and don’ts of web-based technology. The morning session will cover: Introduction to the Social Enterprise Continuum; Philosophic Engagement- Is everyone ready? ; and Alternative Organizational Structures and UBIT. The afternoon session will cover: Strategic Business Planning; Financing Your Venture; and Let’s Test Drive Some Ideas. Act: Assessing Your Fundraising Fitness: Are You Ready to Raise Money? Many non- profit executives are confronted with the challenge of heading up organizational fund raising efforts without necessarily having the background or experience needed to provide effective leadership in this most critical area. The development assessment (or audit) process provides organizations with a comprehensive analysis of the strengths and weaknesses of fund raising programs. The assessment process focuses on how the organization can maximize current resources and may make recommendations regarding additional resources needed to attain full fund raising potential. Evaluation of fund raising performance in each segment of the program (i.e. annual fund, special events, corporations and foundations, major gifts and planned giving). Assess dollars raised per one dollar spent ratios in each of these areas, to determine fund raising productivity. Review of the organizational strategic plan, and how the fund raising plan supports strategic objectives. The Development Assessment: A Tool to Enhance Fund Raising Effectiveness - Putting It Into Practice! Join Mike Stein and representatives from the Baseball Hall of Fame and Springbrook to learn exactly how nonprofit organizations like yours implemented this type of analysis to achieve fundraising success. A major gifts process you can implement. How to build a strong and simple message. How to build simple and effective presentation tools. How to manage the flow of the call. The roles of the board and staff. AM session focus on building the message, sample presentation tools and introduction major gifts process. PM session will build on the morning session and include role playing, prospect strategy and application of a presentation framework. Attendees going to both sessions will recieve training materials, sample presentation tools and The For Impact / Suddes Group Campaign Book, Take a Quantum Leap plus training CD (valued at $45). You may have heard the words, but what do they really mean for nonprofit organizations? How do you begin to think about mixing in these tools with more well-known online fundraising strategies? This session introduces the concepts, tools, and lots of examples of how the next generation of internet technologies or what has been dubbed "Web.2.0" or "Social Media" are being used by nonprofits. We'll do some live demos of these tools, discuss their potential to enhance our work, along with some of the concerns they raise. You'll come away with a basic understanding of and context for the words that are buzzing around us, along with references for continued exploration. Building on the morning session, participants in this interactive workshop will play the "Nonprofits and Social Media Game," a simulation game using a special deck of cards where participants work in small groups to develop a strategy, identify challenges, and benefits and identify which tools to deploy in when integrating social media tools for a fundraising campaign in a nonprofit organizational context. The session will begin with a brief introduction to the strategies and tools, followed by playing the game. Each group will share their campaign ideas and the benefits and challenges they discovered. Participants will leave the session with one or two ideas to implement back at the office and some additional resources for continued learning. Katya Andresen is the author of the acclaimed book, Robin Hood Marketing: Stealing Corporate Savvy to Sell Just Causes. She currently works as the Vice President of Marketing at Network for Good. There she develops and executes the charitable giving portal’s marketing strategy, including consumer outreach, media relations, corporate partnerships and nonprofit marketing. Before joining Network for Good, she was Senior Vice President of Sutton Group, a marketing and communications firm supporting non-profits, government agencies, and foundations working for the social good. Ms. Andresen previously consulted overseas, promoting causes ranging from civil society in Ukraine to ecotourism in Madagascar. 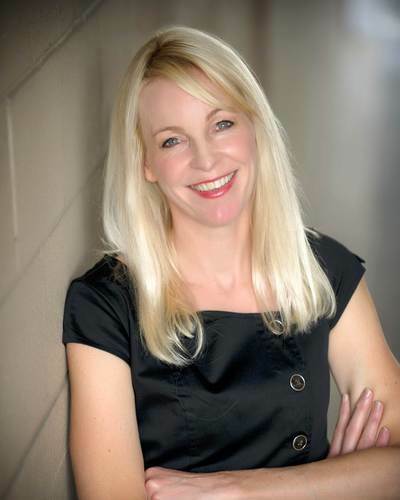 She has trained hundreds of causes in effective marketing and media relations, and her marketing materials for non-profits have won national and international awards. She is also author of a chapter in the upcoming book, People to People Fundraising - How Individuals and Nonprofits can Leverage the Internet for Great Causes (Wiley, 2007). Fundraising Success Magazine named her Fundraising Professional of the Year in 2007. Katya traces her passion for good causes to the enormous social need she witnessed as a journalist prior to her work in the non-profit sector. She was a foreign correspondent for Reuters News and Television in Asia and for Associated Press, the San Francisco Chronicle and the Dallas Morning News in Africa. She has a bachelor's degree in history from Haverford College. Beth Kanter is a trainer, coach, and consultant to nonprofits and individuals in effective use of technology. She has worked on projects that include: training, curriculum development, research, and evaluation. Her expertise is how to use new web tools (blogging, tagging, wikis, photo sharing, video blogging, screencasting, social networking sites, and virtual worlds, etc) to support nonprofit. She is an experienced coach to "digital immigrants" in the personal mastery of these tools. She is a professional blogger and writes about the use of social media tools in the nonprofit sector for social change. Click here to learn more about Beth. * More speakers to be announced soon! Doug Sauer, CEO, The Council of Community Services of New York State, Inc. Afternoon sessions are “toolboxes” full of practical applications from the morning sessions. Costs: * costs include breakfast, lunch and afternoon reception. Overnight accomodations are available by contacting The Turning Stone Resort directly at 1-800-771-7711. Room rates are $117 per night. Please mention that you are attending The Council of Community Services conference. Cancellations must be received in writing prior to June 15th, 2007 and will be subject to a $25 processing fee for each registration cancelled. Due to obligations incurred by CCSNYS, cancellation after June 15th are non-refundable. For directions to the Turning Stone Resort please click here. Registration for Money for Mission is now CLOSED. your registration will not be valid. Thank you to all you have registered...we look forward to seeing you! Note: If you are a member, please login to take advantage of the member benefits.